You can also demand Congress vote on Trump’s illegal air strikes on Syria and find out how to support undocumented students. This week’s Take Action Now focuses on tax day protests, Trump’s air strikes on Syria, and supporting undocumented students. 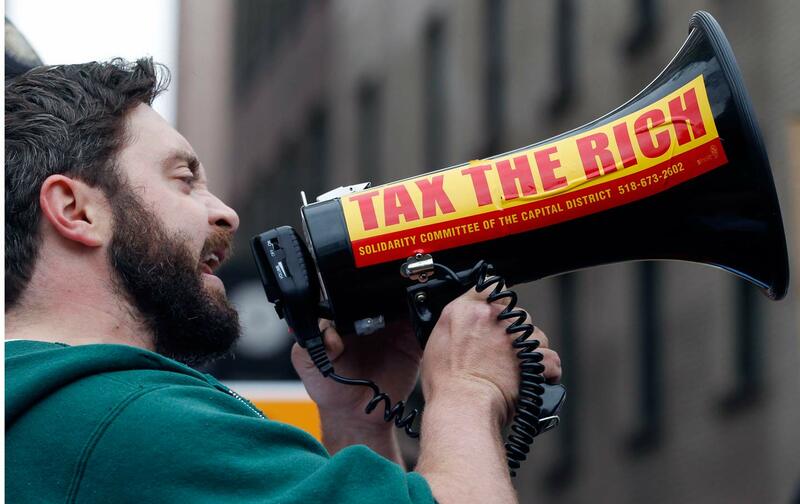 A year after people across the country marked tax day by demanding that Trump release his returns, organizers are calling on all of us to spread the word about the Trump tax giveaway of trillions of dollars to the wealthy. Check out #TaxDayProtest and #TrumpTax on social media and help get the message out. This weekend, the Trump administration ordered air strikes on Syria, an unconstitutional escalation of force. Only Congress—not the president—has the authority to declare war. Call your representatives at 202-224-3121 and demand that Congress immediately assert its authority to debate and vote on Trump’s illegal attack. You can find more information from Win Without War here and from Phyllis Bennis in The Nation here. From a lack of financial aid to the risk of deportation, undocumented students face overwhelming barriers to achieving their academic potential. For National Immigrant Resilience Day on April 26, United We Dream is asking people to commit to making educational institutions more welcoming for immigrant youth. Sign up and you’ll receive a toolkit that includes directions for actions such as holding a teach-in, creating safe spaces, helping students access key resources, supporting organizing by undocumented students, and more.